Zack grew up in Round Rock, Texas with 2 older brothers. As a youth player, he was a member of the ODP Region III team and earned both McDonald's and NSCAA All America Honors his junior year while playing for Capital's Soccer Club. Zack would go on to earn a scholarship to Duke University where he played 4 years while earning a BA in Psychology, Minor in Sociology and a Markets/Management Certificate. While at Duke, Zack received Freshman All America Honors, All ACC Academic Team 3 years, Dean's list 3 years, 4 NCAA Tournament appearances, 2 ACC Championships, 1 Final Four appearance, and finished 11th in all time career assists. After being drafted by Chicago Fire in the 2008 MLS draft, he made appearances with Chicago Fire and FC Dallas Reserves before finishing his playing career with Austin Aztex. 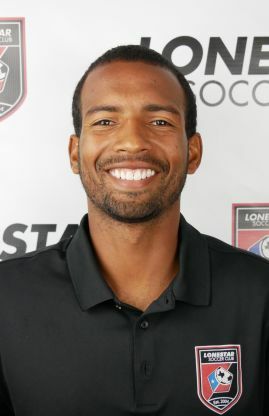 This is Zack's 7th year as a coach for Lonestar Soccer Club.